Seattle Parks and Recreation, Seattle Human Services Department, and United Way of King County are partnering to host a drop-in summer program offering free meals and recreation activities. Recreation activities are open for kids and teens ages 1 to 18 and may include arts, crafts, board games, and organized recreational games. A free lunch and snacks will be offered to youth ages 1 to 18. 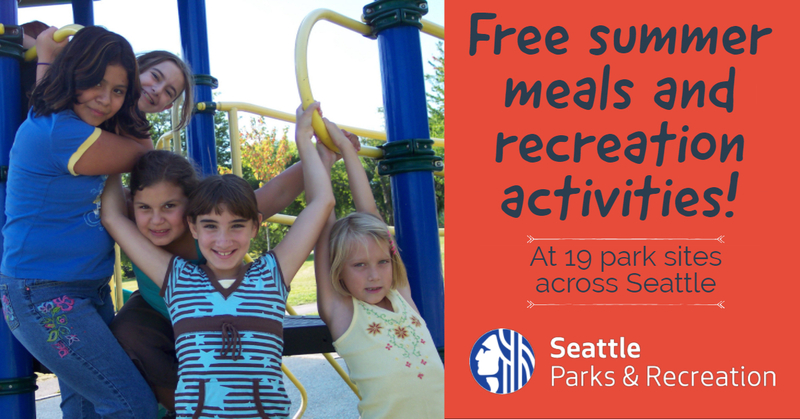 The program will run daily through August 24 from 9:30am to 4pm Monday through Friday rain or shine at park sites across Seattle. North Acres Park has a "spray park" for kids and an off-leash dog park. For questions or more information about the food and recreation program, contact Nicholas Farline, Sr., Recreation Program Specialist, at 206-615-0303.